After a one-year sabbatical, Ragley is back and feeling fresh. A brand famous for its no-nonsense approach to riding, Ragley is back with a new range of great value, fun loving bicycles. The old favourites get updates to geometry, tube profiles, frame ‘standards’ and spec. 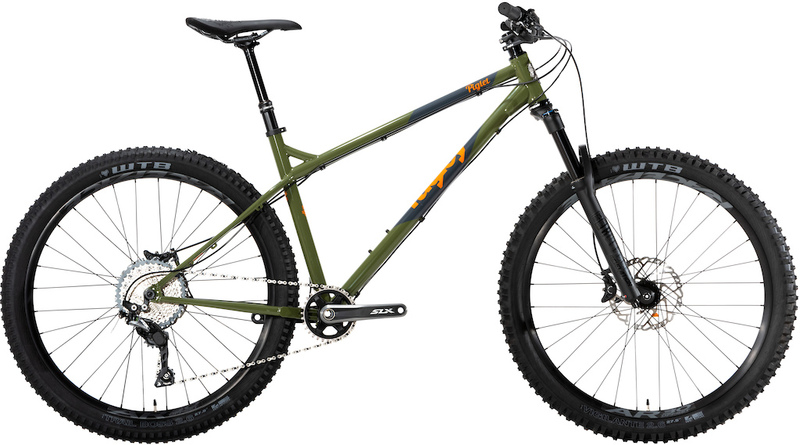 The Big Al slots into the range as a 29-inch wheeled counterpart to the Marley. We have introduced the range below with a brief blurb and key specifications. 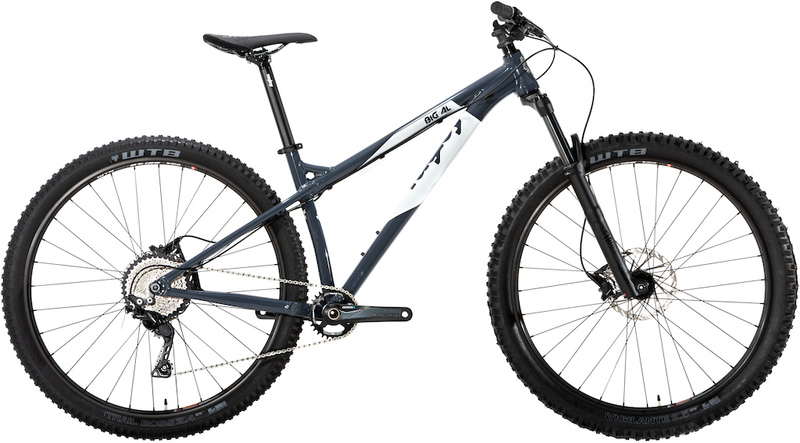 Still designed to be ridden with gumption, the new frame has been given a friendly dose of boost with a 148x12 to stiffen up the rear. Reach grows, headangle slackens, seat angle steepens: so whilst it’s aimed firmly at trail, it will still speeder bike through the trees with accuracy and poise. Indications of fork travel could be useful. In any case, the Marley is now on the shortlist for my next build. Mmmbop and bluepig are designed around 140 - 160. Optimized for 150mm fork Bigwig and I'm assuming Big Al are designed around 120 -140 optimized for 130mm fork Marley and Piglet are designed around 120-140. Optimized for 130mm fork. I dont know any more info but when I asked on Instagram they said the bluepig was 460mm reach in size large so up 10mm from previous model. If they are keeping same trends as previous models thats number should carry across the majority of the lineup and give a ball park idea on other sizes. Glad to see ragley back. I built up a bluepig at the end of 2017 and it quickly became my favorite bike. 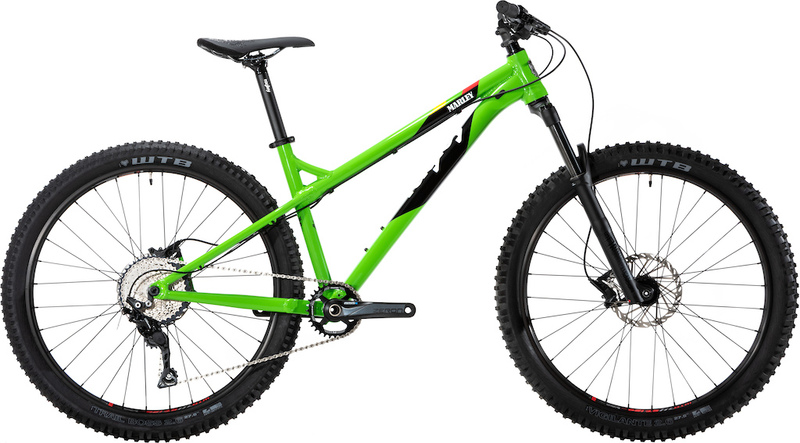 Yeh, I built an Mmmbop up around the same time and it's the best hardtail I've ever ridden. Funnily enough I've just changed my stem from 35mm to 45mm for a little more reach. Looks like these latest frames have an increased reach of 10mm. These look like massive fun. 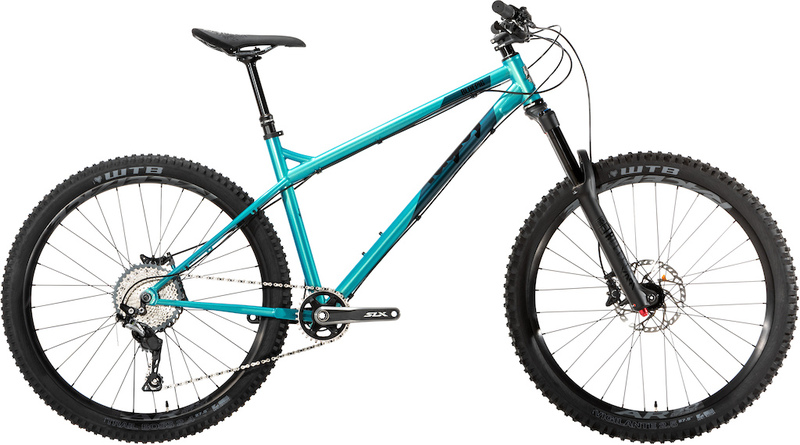 It wasn't mentioned in the article but considering it is an issue with other bikes: these 27.5" wheeled models have a straight seattube so you can get the saddle all the way from slammed up to XC height or fit the longest travel dropper posts. I'm about 6ft tall. A typical seatpost requires 100mm of insertion in the seattube. I've got a 400mm seattube and a 400mm seatpost so I can have my saddle slammed or all the way up to XC height with 300mm of seatpost exposed. It looks odd and I've never ridden it all the way up like that, but it can be done and makes the bike a massive lot more versatile. Yay Ragley. love you guys!! How comes PB did not mention their new CX bike the Trig? Ragley Bikes, just when you think they're dead... again. Why do they seem to disappear every other year? Is it so they can make a massive fanfare when they 'miraculously' reappear?! I have an older blue pig and it's a rad bike! Blue Pig and MmmBop built around 140/160ish travel, the Piglet and Marley around the 130 range. My 2017 Blue Pig rides awesome. Great to see them back with new bikes again! The Mmmbop is the best looking bike i've ever seen! props to ragley bikes! hopefully they do some demo events. They were always quick to reply on Facebook. I like the look of the Piglet, what's the travel? I think 130 recommended but up to 140 or as low as 120. At least that's how the previous model was. Still rockin' my 2014 BluePig in forest trails, alpine adventures and road trips (with slick tyres). woot. more awesome hardtails to choose from. Hope to get a frame only blue pig! jesus christ where is the info? Yuk. These are all ugly bikes.